I decided to have fun with some data over the past week. I started by downloading the 337 Channel Chiefs from CRN's annual list (2016 version) and ran them all through Linkedin to see what insights I could come up with. I decided to focus on 10 attributes that could shed light on the road to becoming a Channel Chief. The data had some obvious edge cases, but statistically, it formed a relatively tight bell curve around the averages. Before we get to the rules, why would anyone ever want to be a Channel Chief? The head of indirect channels for an organization is (by far) the best job an individual could hope for! Spending your time traveling the world to glorious destinations, hosting parties and galas for partners, spending millions of dollars in marketing funds, and striving to drive more boondoggles than last year. What could be easier than dealing with people who are passionate about your products and want to promote them to the world? How hard could it be recruiting this fan base and keeping them motivated by dozens of expensive programs? Oh, and look at that, another industry magazine just put you on the cover! Sounds good so far, but how do Chiefs get a free pass internally from management? Easy. Channels tend to be nebulous – not only hard to measure because of their indirect nature, but time-delayed as you are collecting data through a complicated multi-tier supply chain. Sales in, sales out, end user reporting, return on invested capital - these are metrics that confuse even the best CEO. The VP of Sales gets the brunt of the pressure because direct sales are easy to measure, forecast and build KPI’s around. And most CEO’s out there didn’t rise through indirect channels. In most cases they were engineers, direct sales leaders or financial people. So, is a Channel Chief is basically a rock star without responsibility or accountability? Not quite. These common perceptions actually make the job harder. The average tenure of a Chief is only 4.2 years – contrast that to the average CEO at 8.1 years. If the job was that great and liberating – why the short stay? 1. Channels take a very long time to develop. Trying to explain to a CEO who is (very publicly) measured quarterly that developing an effective channel takes years is not a very popular conversation. 2. The indirect organization is usually the red-headed stepchild. Getting access to top people, technology, resources or investments is last in line behind the sales, marketing and product teams. 3. The Rodney Dangerfield Effect. Because it is not understood by other executives, it can be glossed over in senior management and board reviews. While the commitment to channel differs by company, the attention it gets is, in many cases, out of alignment. The end result is a high pressure job, without adequate support and dubious respect. A Channel Chief is a part-time sales leader, marketer, finance and operations exec, lawyer, motivator, counselor, trainer, product manager, strategist, economist, support agent and futurist. If this is the life of a rock star, perhaps it is not as fun and rewarding as we once thought. It truly takes a special individual to step into the above chaos day in and day out and maintain a sense of humor. So, do you still want to be a Channel Chief? Read on. More specifically, San Francisco. About a quarter of all Chiefs live in California, with the majority of those (60%) living in the Bay area. I analyzed the 2016 CRN list on purpose, to see how many of them stayed put after making the list. A year later, upwards of 25% of them are now working for different companies! Even more have been promoted internally into new responsibilities. This is not a "set it and forget it" profession. The Channel Chiefs are 77% male on this CRN list. Unfortunately, it gets worse when you narrow down this list to choose only the most senior from each company (248 companies). At this point it jumps up well into the 80's. As an industry we NEED to do better - check out this analysis of the Top 100 Global Women in Technology groups that I compiled recently. Specifically 1968. The average channel chief on the list is 49 years old. While there was a wide range of ages, most were clustered tightly around mid 40's to mid 50's. Almost three quarters of the Channel Chiefs do not have a masters or above degree. While college degrees number in the high 90's, most Chiefs relied on career progression to get to where they are. More on that to come. The average number of companies the Chiefs worked previously for was 4.8. Many used company changes to elevate from Rep to Manager, Manager to Director and Director to VP. 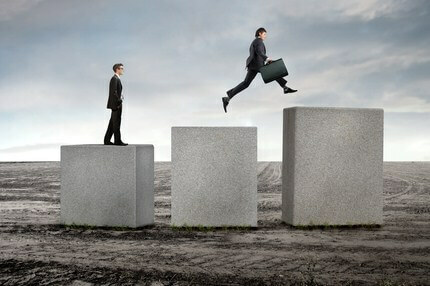 Larger companies are the exception where some have progressed internally for a few decades to get that coveted title. With only 4.8 company stops on average, the average Chief has spent 8.7 years at their current company. You may not get hired as a Chief right away, but one or two promotions may land you there within 4 years. The average tenure for a Channel Chief is 4.2 years. If you remove the Fortune 500 sized companies, where the stays are much longer, this drops down to the 2-3 year range. Moving jobs and moving cities is very common in this group of 337 people. Very few are employed in their hometown or college town. Half of the Chiefs came from different backgrounds including sales (most common at 50%), general management, marketing and product management. While the progression of Channel Account Manager (CAM) to Channel Manager to Channel Director to VP Channel to SVP Global Channel is the most common, it is not the only way. Reference #6 above on how to make those jumps faster. If you are looking to be a Channel Chief at a Fortune 500 company, jumping to smaller companies to get higher titles doesn't seem to work. The better bet is to start in the mailroom and plan for a 20+ year career of linear progression. If you want to be a Chief at a midsize company, multiple jumps as a VP (especially in the same product category) seems to be the best path. I can see a recruiting trend here, where they seem to target the Chief of their competitors. If you haven't figured out by now, the title of this article was meant as click bait. There are no guarantees in life, or in the channel. However, if you do know what you want, there are certain tactics you can deploy to elevate your chances of success. Luck plays a role as well - fast growing companies in exploding product categories tend to hire underneath their current employees. This results in rapid career progression. At some point in this growth, usually after a sizable round of financing or IPO, the company will hire a senior, recognized Global Channel Chief to play the adult in the room. This person usually comes from a Fortune 100 company. Well, there it is. For those of us who have spent our careers in the channel know that it is an equally exciting and frustrating place. Under-recognized, under-funded but filled with some of the best people I know. 75% of all world trade goes indirectly, and these are the heros that make it happen. Good luck on your indirect journey!